Okay, I am one of those die hard, hold outs, who clings to an ancient flip phone for my communications. No, I cannot ask my phone questions, or view cute videos. Nor can I do my banking, emails, post selfies, or Facetime family and friends. Yes, I am in the dark ages of digital communications. Smartphone users have the latest and the greatest. Me, not so much. But I am happy on my lonely island. But Nokia just announced…..hold onto your ever loving smartphone…..they are reintroducing their dumb phone. There are enough people who desire a phone with a battery life longer than a few hours. People are tired of broken screens and want to carry a virtually indestructible, compact phone. And then there’s this—the latest iPhone 8 will be retailing for ONE GRAND. I am sorry smartphone users, that must really hurt. The new Nokia is going to retail for under seventy bucks. 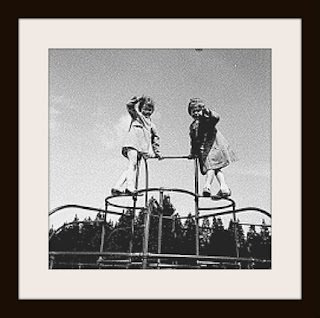 Our mid-1960’s playground was equipped with 12-foot monkey bars with nothing but asphalt below. Kids took turns on the swings and merry-go-round—with the object to swing as high or go around as fast as possible—again with asphalt to catch any mishaps. No worries though, teachers routinely cleansed open wounds with iodine and a stinging yellow liquid we all dreaded—merthiolate. Fiercely competitive tetherball and four-square games often would outlast recess. The coveted server’s corner was hard-earned and only displaced by losing a game. A pasture grass field adjacent to the playground worked well for fifteen minute games of kickball, Red Rover, tag, or for indoor recess the most formidable—dodgeball. Those small rubber balls could be thrown as hard as possible at the opposing side. Nothing like the sting and ball imprint on the side of the face for the next half-hour. In a Romanian city, baby Anastasia was born. An ocean away in a tree-shrouded Washington town, beautiful Dana cradled newborn Aria. Amazing joy comes to families as they welcome a child. Aria and Anastasia looked adorable wearing darling bows and the cutest outfits. Dressing up baby girls is something special no matter what part of the world you live in. Yet, within months both girls were diagnosed with spinal muscular atrophy (SMA), an incurable, terminal disease. While it would be easy to spiral into despair, Aria’s family bonded even closer, friends surrounded them, and they purposed to make treasured memories. 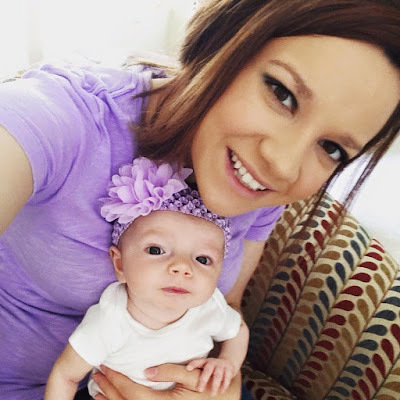 When Dana reached out to other SMA families she met Dani, Anastasia’s mother. As the disease affecting their precious daughters became more real, they encouraged one another through terribly frightening days. None of us would ever forget her name, or how her sweet accent slightly altered its pronunciation. She was a first-generation American citizen, and her parents had named her for the freedom and opportunity America offered. I was in that crowd of teens—where we’d come to learn how to help our schools be places of learning, compassion, and purpose. We were divided up and America wasn’t in my group, but I observed her animated energy as she bounded between activities. I had one occasion to stand next to her—as we waited in the dinner line. We talked about camp, our schools, and the anxious sense that being a high school junior brought. For America, I could tell it meant high expectations.